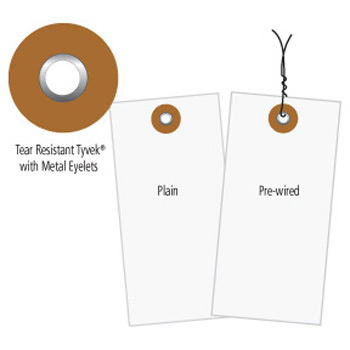 White Tyvek Shipping tags, Tyvek Tags, Riverside Paper Co.
Riverside as White Tyvek tags in plain or pre-wired and in the standard sizes. Manufactured from tough spun bonded olefin with 3/16'' metal eyelets. Riverside can custom print on Tyvek tags, please call for information.